One cold winter night, every family’s worst nightmare took place at a small town home in Wisconsin. 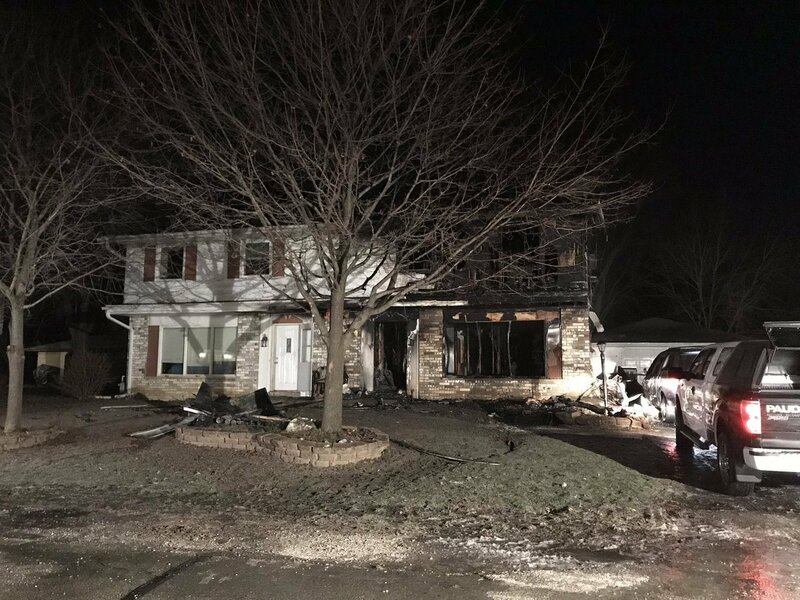 A mother and her two children had fallen asleep after a cozy night in watching a movie when suddenly flames and smoke filled the air. The worst part of all – the mother was disabled and could do nothing to stop her home from going up in flames. She tried to put out the fire, but it all happened so fast she couldn’t respond in time to extinguish the ever-growing flames. One can’t even imagine the sheer horror and terror this mother must have felt. The reality is, we all know it takes only a matter of seconds to alter the course of one’s life. Thankfully, the mother’s 15-year-old son used quick thinking and sprung to life and instituted a fast-acting plan. And as a result, he saved the lives of his entire family. “Her 15-year-old son called 911 and got his 11-year-old sister out. He then went back inside to get his mother. The family friend said the boy’s mother is disabled and recovering from stomach surgery. She uses oxygen and doesn’t move well. While the family lost everything, things can always be replaced. When faced with a traumatic event, instinct is everything. Some people freeze in fear, their bodies literally paralyzed to move or respond. Others respond to adrenaline and their bodies kick into high gear and they react. Thank the Lord this brave teenage boy fell into the latter category! His bold move and quick thinking saved his entire family from perishing. In addition, he was smart enough to evacuate the house next to him, which contained his blind aunt. According to Fox6 News, the mother did end up suffering second degree burns, but has since been released from the hospital. While this story had a happy ending with the family members escaping with their lives, not all stories end well. Moms, house-fires are a scary reality of just how quick life can change in an instant. Please be sure to have a plan in your home in case a fire ever occurs. Teach your children how to respond in case of an emergency, and have a family meeting place outside away from danger. For more tips on how to keep your family safe and avoid common household dangers, be sure to check out our past tips. And if you’d like to help this displaced family, a Gofund Me page has been created to help the family raise funds to have a Christmas they’ll never forget. What encouraging message would you like to write to this brave 15-year-old teen? Do you have a family emergency plan in case of a fire or other household emergency?